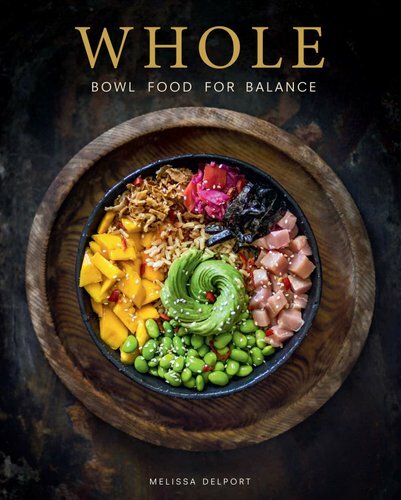 Whole: Bowl Food For Balance is all about healing your relationship with food. Food is not the enemy and neither is your body. Melissa Delport is a Cape Town-based food photographer and blogger who loves to travel. Her food career started when she entered a cooking competition in South Africa. Her love of food was born while learning to cook at her mother’s and grandmother’s knees. After years as a fad dieter, Melissa discovered the path to health and wellbeing. Linking this directly to food and working with health coach Nikita Stallbom, Melissa’s new mindset of mindful consumption was integrated into her food philosophy. Learning to release fear around mealtimes, coupled with her knowledge of food and a desire to share this way of eating, the concept of Whole: Bowl Food For Balance was born, Melissa’s first cookbook.